If you are interested in working as a contractor with Prairie Five’s Housing Program, please contact us to complete the Contractor Application. 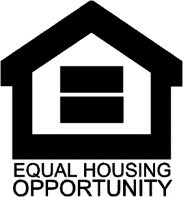 Applications to be a Housing Rehabilitation Contractor are accepted at any time. Must be skilled in building construction and building codes and regulations. Must have a current contractor license, current insurance, lead firm certification, lead safe practices certification. Must have the tools and equipment and the ability to complete all work in accordance with State and Local Codes. Work will be contracted on a bid basis. Must have a current license (if required), current insurance and bond, lead firm certification (if required), lead safe practices certification (if required). Must have the equipment and tools and the ability to complete all work in accordance with code.